When someone we know dies, all too often we learn too late how much more rich and varied the person’s life was than we ever knew, that there was a whole part of that person’s life that we never saw, and good friends we never met. 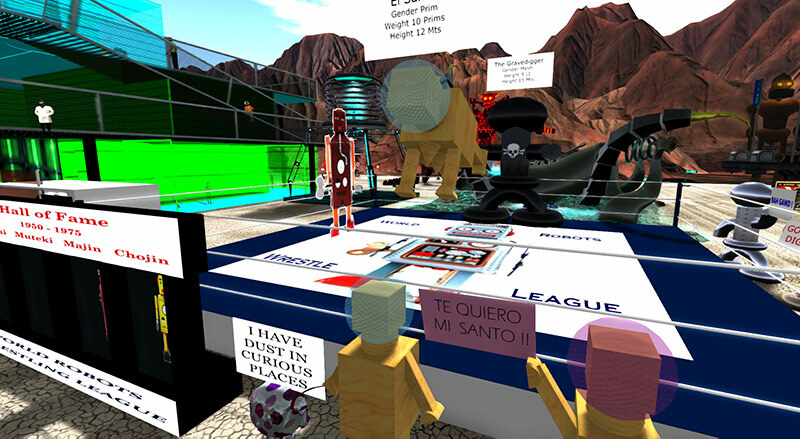 It’s even more true in a virtual world, where few of us knows anything about the reality of physical life even for the people behind the avatars we know well. 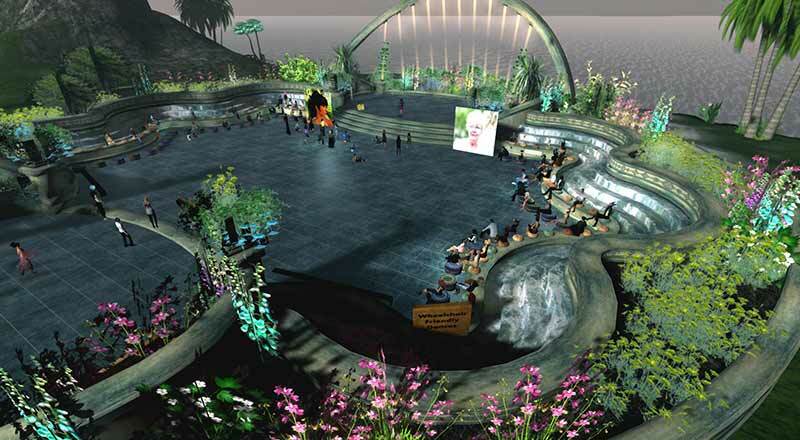 I was reminded of it again today at the memorial service in Second Life’s Virtual Ability sims for Ladyslipper Constantine, who many of us knew simply as “LS”. 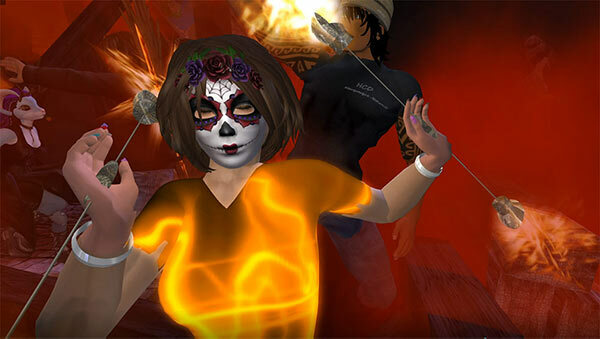 I knew her in Burn 2, Burning Man in Second Life, where LS and I were Lamplighters and Rangers, and where she was leader of the Fire Dancers. She was someone who everyone respected and liked, someone who was always patient and friendly. 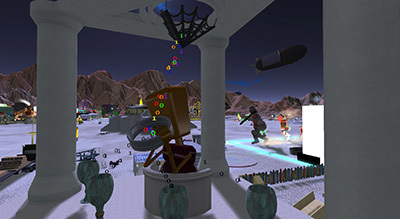 LS’s activities in Second Life went far beyond Burn 2. She was also active in Virtual Ability , Virtual Worlds Best Practices in Education , One Billion Rising, and Second Life birthday celebrations. One of her other activities was performing in the drumming group DRUM, who performed at the memorial with an empty drum in the front to honor he. 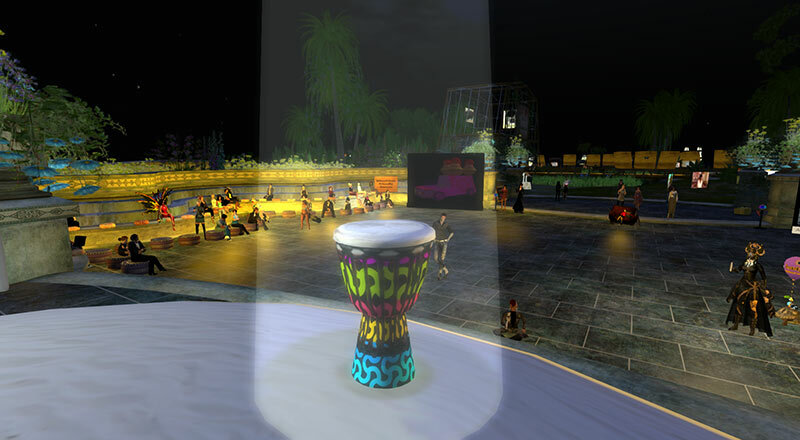 A silent drum during a DRUM performance to honor Ladyslipper. In recent months, I knew that LS was not well, but I did not know how ill she was. 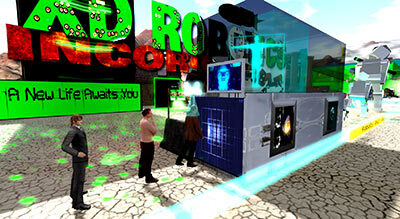 This is one of the frustrating aspects of virtual worlds. There’s no way of knowing when the humans behind our avatar friends are suffering. It came as a sad shock when I learned recently that LS had died of cancer. I will miss LS. Judging by what I saw and heard at today’s memorial, many others will miss her at least as much as I will. She touched the lives of many. 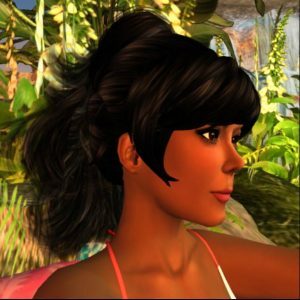 You can read Ladyslipper’s page on the Virtual Ability website here and you can read an AL Newser interview with her here. I first got a LUMIPro in 2011, when creator Stefan Buscaylet gave it to attendees at the 2011 SLCC. I was impressed enough with its potential in Second Life for lighting models and actors that I wrote a review for examiner.com, but I didn’t have an immediate need for it and eventually forgot about it. The red, green, and blue balls provide three point lighting. The projector light is at top. All lights can be moved and disappear when you’re ready to shoot. Until last week. 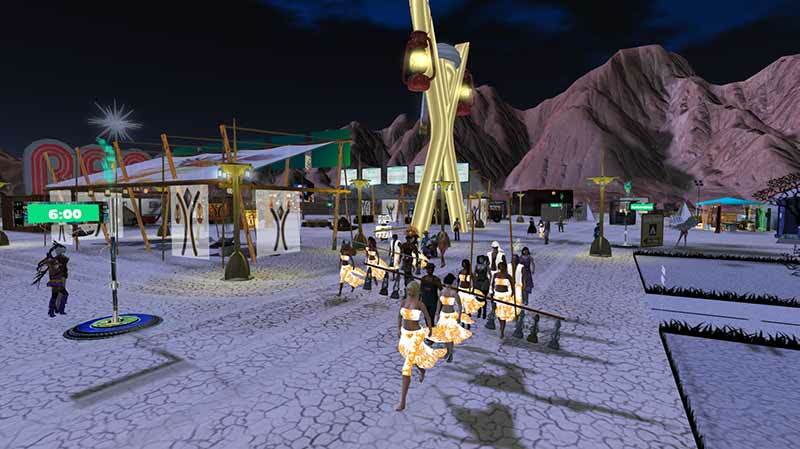 That’s when the possibility arose of being hired to film a machinima in SL. I planned to make my usual light projector prims for lighting the set until I remembered the LUMIPro. My copy was five years old, but it might still work. To my amazement, when I opened the HUD, it automatically upgraded to the current 2016 version. Very nice. It turns out that owners get free upgrades for life, even owners like me who got theirs for free at a convention. 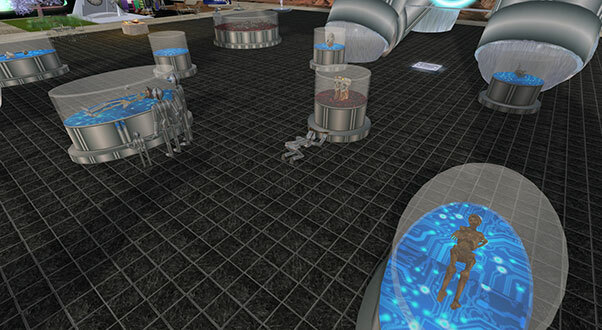 After opening the LUMIPro HUD, you can give a set of lights to up to eight models. You can be one of the models. 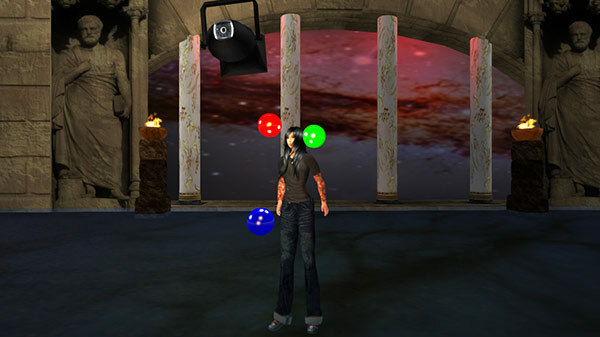 Each set of lights includes red, green, and blue balls that serve as three point lighting sources and one projector. You can move the lights around to adjust your lighting, change factors such as color, intensity, and fall-off. The gobo can be used to simulate effects such as light coming in through a window. When you’re ready to shoot, just click ALPHA on the HUD and the lights disappear. If you have rezzing rights, you can rez additional projector lights. You can also change the models’ poses and control their eye movements. I highly recommend watching videos on the LUMIPro website lumipro.blogspot.com and on YouTube. If you’re like me and have disabled face lights in your viewer, you’ll have to enable them before LUMIPro will work. This caused me some frustration before I realized it. 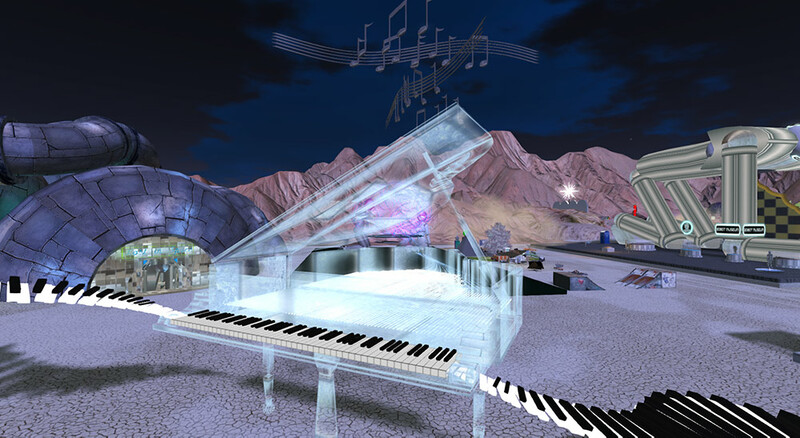 You can try a LUMIPro in SL by teleporting to maps.secondlife.com/secondlife/Phenomenal/228/148/1501. I’ve only been using if for a few days. If anything happens to change my so far very positive opinion of LUMIPro, I’ll update this review. I have not been compensated in any way for writing this, other than being given my original LUMIPro in 2011 as an SLCC attendee. The problem is that under Windows, ShadowPlay only works with Aero mode enabled, but Aero only exists in Windows 7 and earlier. Microsoft removed it from Windows 8 and 10. There are workarounds that I’ve seen posted on the Web, but I have not tested any of them. The first thing you’ll notice when you run ShadowPlay is that Second Life and OpenSimulator are not in the list of games it supports. This is because ShadowPlay only supports DirectX 9, 10, and 11, but SL and OpenSim are OpenGL. You can still use it to record machinima in SL and OpenSim, but you’ll have to set ShadowPlay to “Allow desktop capture”, as shown in the following screenshot. 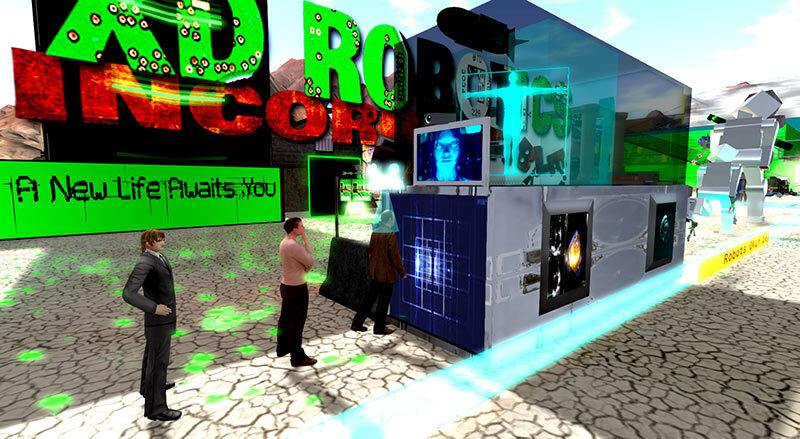 With one exception, the other ShadowPlay options shown do not work in SL and OpenSim. For me, this is the biggest reason why I don’t use ShadowPlay. There’s no way to know whether recording has actually started or stopped when I expected. Most of my shooting is at festivals where I’m constantly starting and stopping recording. It would be all too easy with ShadowPlay to start recording but inadvertently to stop recording instead because there’s no way to know that the previous recording had not stopped. The exception is a big one: if you enable the Camera Overlay, you webcam will turn on automatically every time you turn on ShadowPlay even though the overlay itself is not being displayed. There’s a potential for invasion of privacy whenever your webcam is on and you’re not using it. The other problem I had with ShadowPlay is that my pans and zooms weren’t as smooth as with the other two video capture tools I use, Dxtory and Blackmagic Intensity Pro. It might not affect other people. I shoot at the highest graphics quality I can get at 1080p resolution. If you shoot at lesser quality levels or don’t need silky smooth zooms and pans, ShadowPlay may work well for you. It should be good also for basic desktop video capture. You may need to click Window Color and hen Enable Transparency. If you don’t see Aero Themes it’s possible that your video card doesn’t support it. For troubleshooting, click the Start button and type “aero” in the box. It will start a troubleshooter. 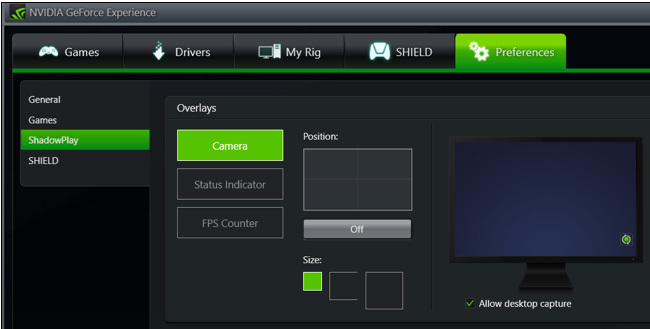 You can get more information about configuring ShadowPlay at www.howtogeek.com/259573/how-to-record-your-pc-gameplay-with-nvidia-shadowplay. 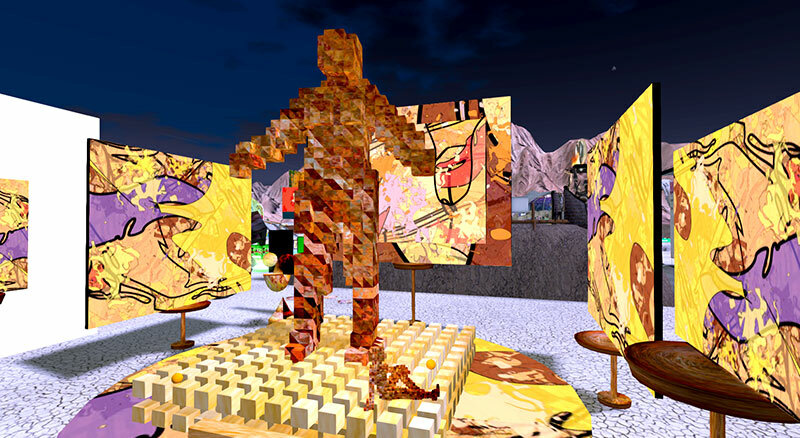 Avatars seated around a campfire on the dry caked mud of a Second Life® virtual desert listened in rapt attention yesterday as the legendary M2Danger Ranger recounted tales of the great ships that once plied the Nevada playa during Burning Man festivals of days past. It was the kind of storytelling that was the only history most humans knew before a few centuries ago. Blogs and videos have been around for only a few decades. Film is only a century old. For a few centuries before film, privileged humans got their history from books, at least those humans who could afford the books and were literate enough to read them, and before that, from even rarer scrolls, parchments, and carved tablets. For the rest of human existence, history came mostly from the tales of elders who had experienced it themselves or who knew the tales of those who had. 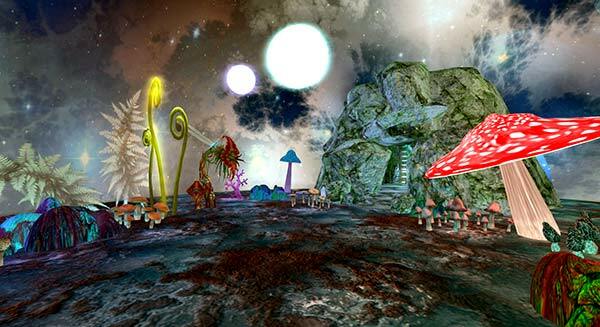 This oldest form of history telling is what we experienced yesterday, sitting around the digital flames of that virtual campfire, avatar hands clutching sticks with roasting marshmallows that we could never taste, but with Danger’s tales of great events of Black Rock playa’s past sparking our imaginations. Of course it wasn’t the same as sitting around a physical fire – I’ve lit enough campfires to know the difference – but it was nonetheless real. This is the emerging reality of post twentieth century human life, when virtual and physical cease being opposites and begin in baby steps to converge. This reporter won’t divulge the text of the stories M2Danger Ranger told yesterday. You need to hear them yourself, while sitting around a crackling campfire. If you want to hear the stories, find Danger at a campfire. 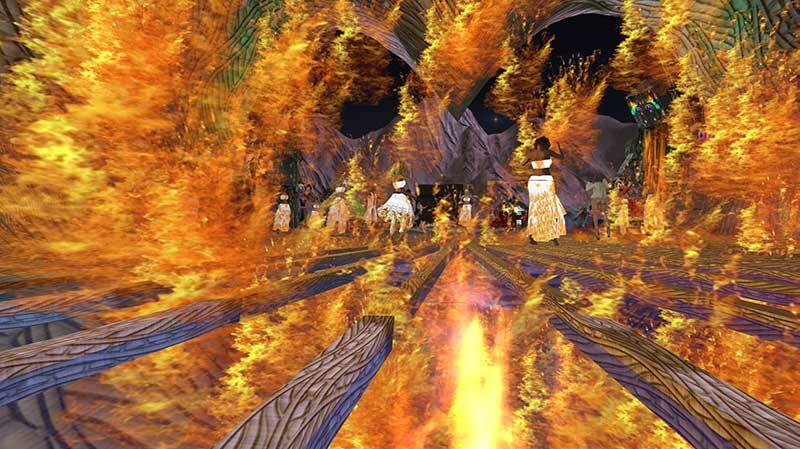 It doesn’t matter whether the fire is virtual or physical. You’ll find him there. The stories he recounted told of glorious “ships” such as La Contessa, a great wooden sailing ship that drove around the desert and ended in a great pyre that could be seen for miles, a fiery end worthy of a Viking funeral (you can see a photo of La Contessa here). Another tale was of Temporal Decomposition, a six foot diameter desert ice ball embedded with clock components (see it here) that met its match in the Vegomatic of the Apocalypse (photo here). 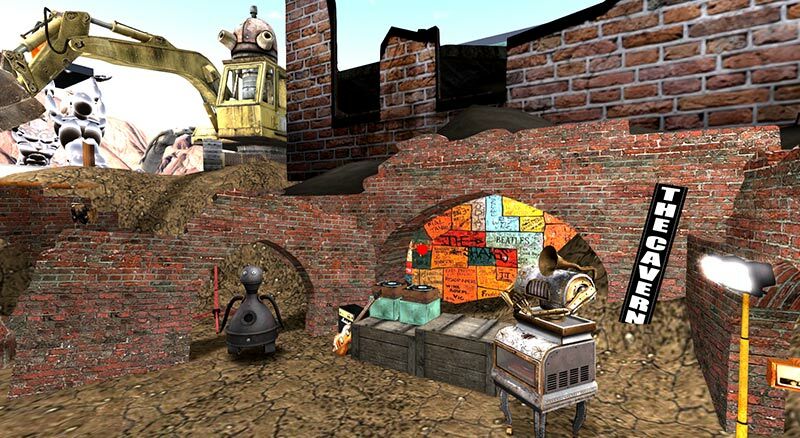 A virtual campfire can’t replace a physical one – I love being with friends in the darkness around the warmth of a hot, crackling fire – but that doesn’t make the virtual campfire any less real. 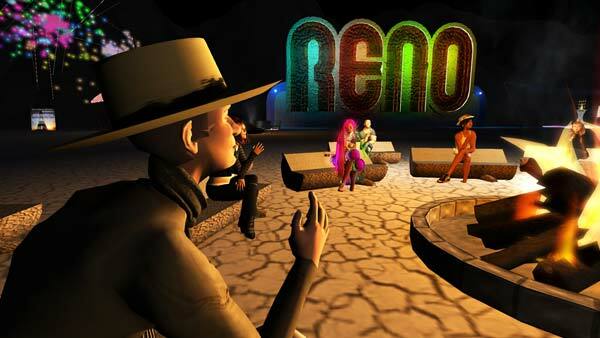 The virtual campfire allows us to be with friends we could never meet otherwise and to experience things we could never experience in the physical world. That’s what’s wonderful about occurrences like M2Danger Ranger’s storytelling at the campfire yesterday. It brought both worlds together and allowed those of us present to experience storytelling as humans and prehumans experienced it for millions of years. 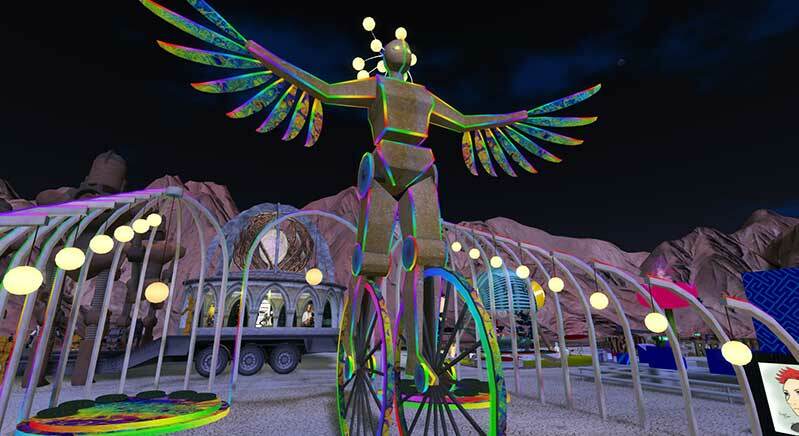 Yesterday’s storytelling was part of Burn2’s Occuplaya festival, which continues through Sunday night with live music performances, DJ’s, Lamplighter processions every night at 7pm, and creative exhibits. 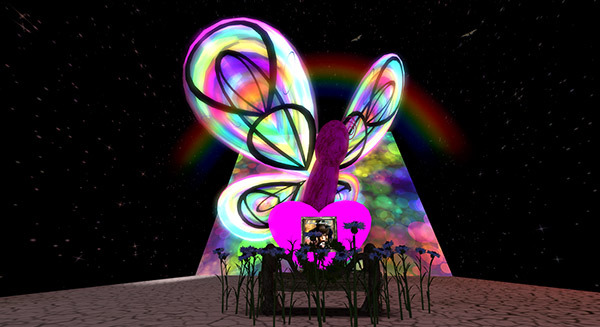 Second Life members can visit Occuplaya today and tomorrow by clicking maps.secondlife.com/secondlife/Burning%20Man-%20Deep%20Hole/126/70/25. 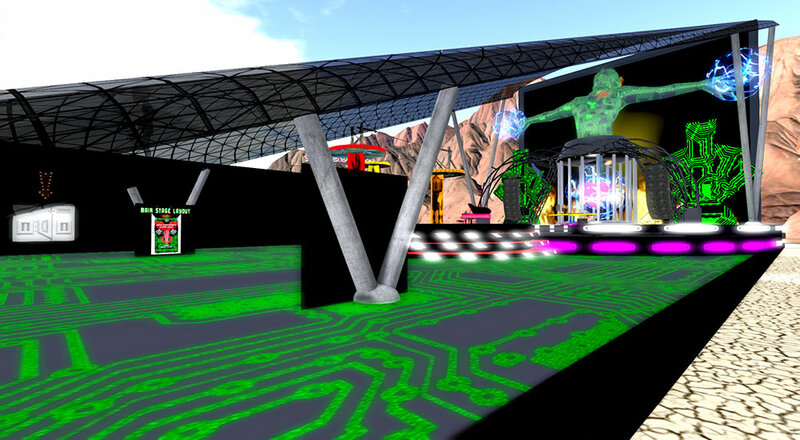 Lamplighters will assemble for their procession at 7pm athttp://maps.secondlife.com/secondlife/Burning%20Man-%20Deep%20Hole/126/70/25. Everyone is welcome to dance and drum with the Lamplighters. Pellentesque porttitor, velit lacinia egestas auctor, diam eros tempus arcu, nec vulputate augue magna vel risus. Cras non magna vel ante adipiscing rhoncus. Vivamus a mi. Morbi neque. Aliquam erat volutpat. 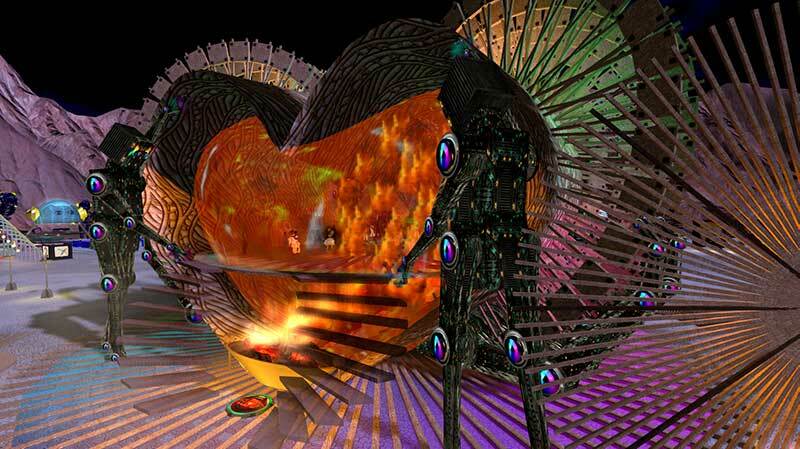 Integer ultrices lobortis eros. Pellentesque habitant morbi tristique senectus et netus et malesuada fames ac turpis egestas. Proin semper, ante vitae sollicitudin posuere, metus quam iaculis nibh, vitae scelerisque nunc massa eget pede. Sed velit urna, interdum vel, ultricies vel, faucibus at, quam. Donec elit est, consectetuer eget, consequat quis, tempus quis, wisi.